The Liquid Health brand has always connected to the communities of those intolerant to Gluten and the sufferers of Celiac Disease. Liquid Health, Inc. formally introduces its Gluten Free Liquid Health Supplements to the market of Gluten Free products. It has been said that as many as 18 million people in the US suffer from some kind of gluten intolerance, or Celiac disease. These people suffer greatly from this intolerance and need gluten-free products. Liquid Health, a leading manufacturer, marketer, and wholesaler of the Liquid Health liquid dietary supplement brand, announces a gluten-free line of products. Liquid Health Premium Liquid Vitamin Supplements offer name-brand ingredients, all natural ingredients, and a quality product to consumers since 1991. Liquid Health is available in over 20,000 select retailers and online stores. Liquid Health has always catered towards consumers that are gluten intolerant and suffer from Celiac disease. According to the National Institute of Health approximately 3 million people are diagnosed with Celiac disease. 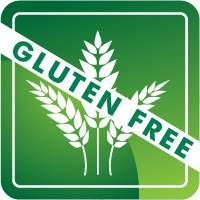 A gluten-free diet is the only known means for controlling the symptoms associated with Celiac disease. All but 2 Liquid Health products are gluten free including the products designed for pets. Liquid Health products are gluten-free tested by third party labs and have been registered with third party gluten free registries. Many existing pill-based medications and supplements use excipients found to contain gluten. With Liquid Health this is not a concern since they are not manufactured with a lot of fillers. Liquid Health supplements are manufactured in their cGMP facility in southern California. Liquid Health, Inc. has been the leader in liquid vitamin manufacturing for over 20 years. Liquid Health products can be found online and in various health food stores around the globe. Liquid Health is certified to cGMP compliant under the strictest NSF quality standards in compliance with cGMP guidelines established by the FDA. Liquid Health offers a monthly special on their products that are gluten-free during Celiac Awareness Month in May, 2012.